Edit of a doc I published back in early Oct 2012. 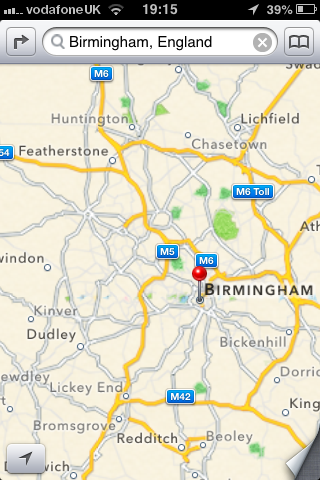 This is now fixed by using IOS 6.0.1. New edit. Looks like IOS 6.1 and exchange do not play well together! This happened earlier in the week, when it appeared i had cancelled a meeting , when in fact i had been nowhere near the invite except accepting it, some weeks ago. This was also not my invite, therefore i have no way (usually) of cancelling it ! IT continues to investigate the Apple iOS 6 calendar issues outlined below, and we are working with Apple and Microsoft to resolve the problem. Because there is no change at this point, you should continue to handle meeting invitations using your PC or Mac instead of your iPhone or iPad. There is no estimated resolution date. IT will continue to update you in the meantime. We have learned that the new Apple iOS 6 has caused intermittent and inadvertent deletion of Outlook meetings from calendars. This is a global issue not specific to us, but we have received several reports of calendar items being deleted from our calendars. 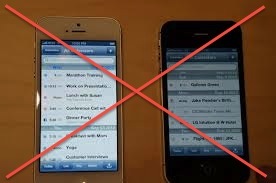 The issue at times occurs intermittently when a meeting is sent to a DL, and a user who has upgraded to Apple’s iOS 6 (either via an iPhone 5 or by upgrading a current iPhone) deletes the meeting. The meeting appears to have been cancelled by the person who deleted the meeting, who now appears to be the meeting’s organizer. This has also occurred without any user actions. We have elevated this issue with both Microsoft and Apple but there is currently no resolution. Both software vendors are suggesting that users only handle meeting invitations using their PCs or Mac Outlook clients, versus managing appointments on your iOS device (iPhone and/or iPad) for the time being. We will continue to provide updates every morning until there is a resolution. So there you go, leave alone your idevice if you want to manage your day. 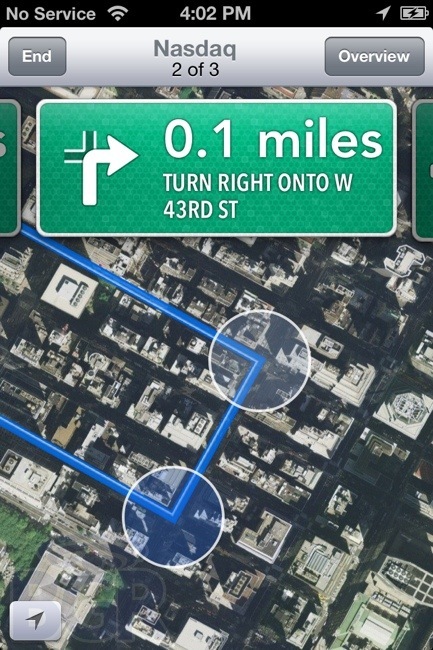 Along with maps, this is rough ride time for Apple. Update 16/10/2012. This has no fix in sight, and Apple and MS are still saying use outlook and don’t manage your diary using your £500 phone. Amazing ! Stop. Dont go there ! Or you might never know you were supposed to be there. UPDATE: 06/12/2012. This apparently has been fixed by an update in IOS update 6.0.1 Currently in testing. 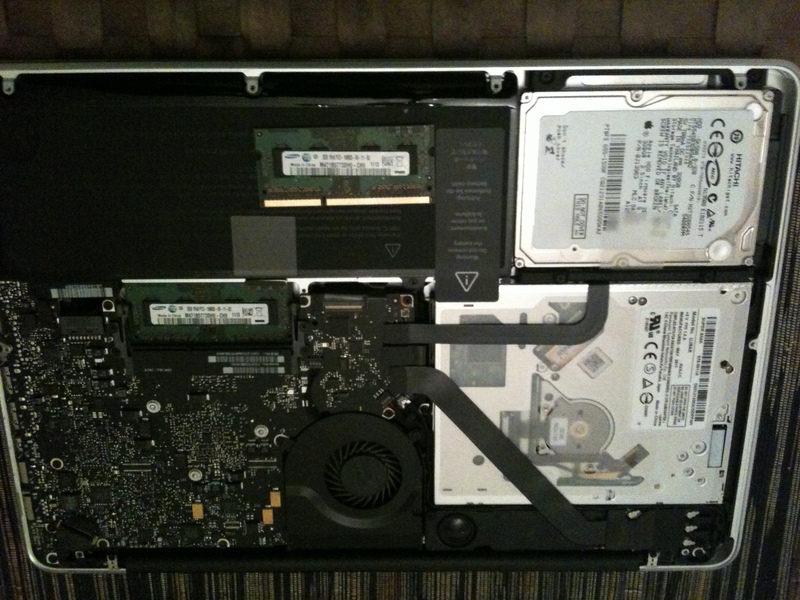 Naked Macbook. Note screws below the screw holes. 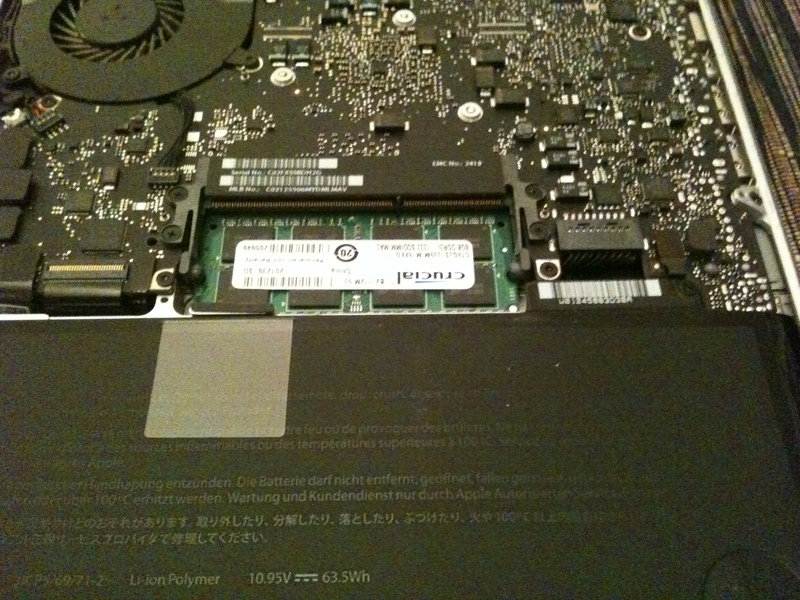 The small green rectangle in the piccie above is the memory. This has to come out. In order to remove a memory stick, apply light outward pressure to the small grey plastic clip which is holding in the the memory stick. Once the holding clip clears the stick it should pop up to about 30 degrees. You should then be able to gently pull the stick out. It is held in a slot, with a key about 2/3 rds from the left, so some firm pulling but no yanking should get you the first stick. One out one to go. This is where the Mac differs from a PC. Normally on a PC, the RAM slots are next to each over, not on top of each other, but as you can see, its not exactly empty in there!. Pop out the next one using the same method. I was concerned that this may need removal of the battery, but it didn’t. Slightly tight to get out, but not too much trouble. Then get your new RAM. Once you have them to hand, reverse the process. Pop back in the first stick. The key to this is to make sure the stick is fully in the slot, and then push down from 30 degrees back to flat. You should hear the click, as the clips secure the chip. First one in ! Note the lugs over the edges ! Then pop in the second. Because the slots are off centre, this is impossible to get round the wrong way. 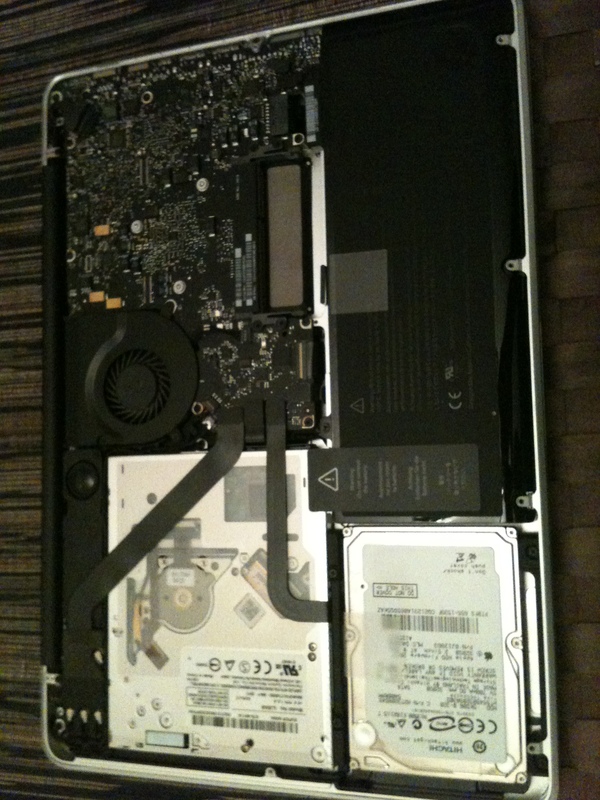 Once they are both in, pop the lid back on (with all the screws !). Tip for putting the screws in. Due to the “industrial design ” of these products (see awkward), the screws go in at a slight angle so they are flush with the case. 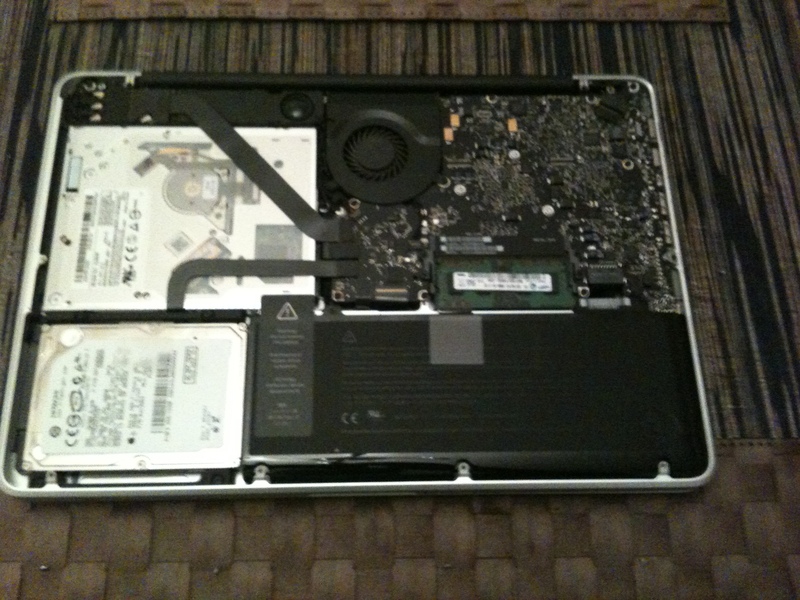 Last week i got a second hand Macbook Pro. This is something i have meaning to get for some time, but prices up to now meant that it alluded me completely. This unit came with bootcamp preinstalled, but the windows partition was only 20Gb, so not big enough for any serious use. 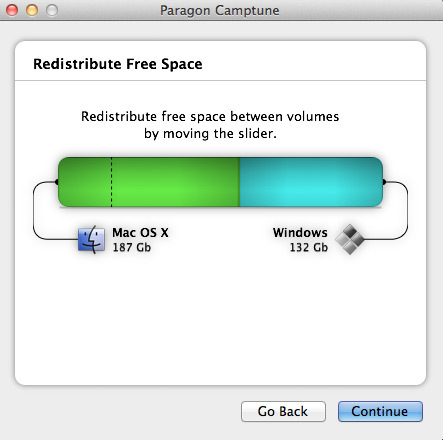 For a native Mac partition, changing the size is very easy using the disk utility tool within OSX. For the bootcamp drive this is trickier as it wouldn’t allow me to extend my bootcamp partition into the unallocated space i had created. From within Windows, the disk management tool wouldn’t allow me to either, I assume because bootcamp is doing something clever on the Mac partition to allow a NTFS partition, that Windows cannot see natively. This does exactly what is says on the tin. It is a very small (3Mb) app that displays all your disk with a slider that you can set to either expand or shrink the Windows or Mac partition. It really is that easy. So, set your sizes, wait about 10 mins for it to so its work and you are good to go. This is all done within OSX, without going near Windows. The only caveat is that it will not work on encrypted partitions, for obvious reasons. In short a fantastic app for anyone who needs to multiboot Windows and OSX on a Mac. 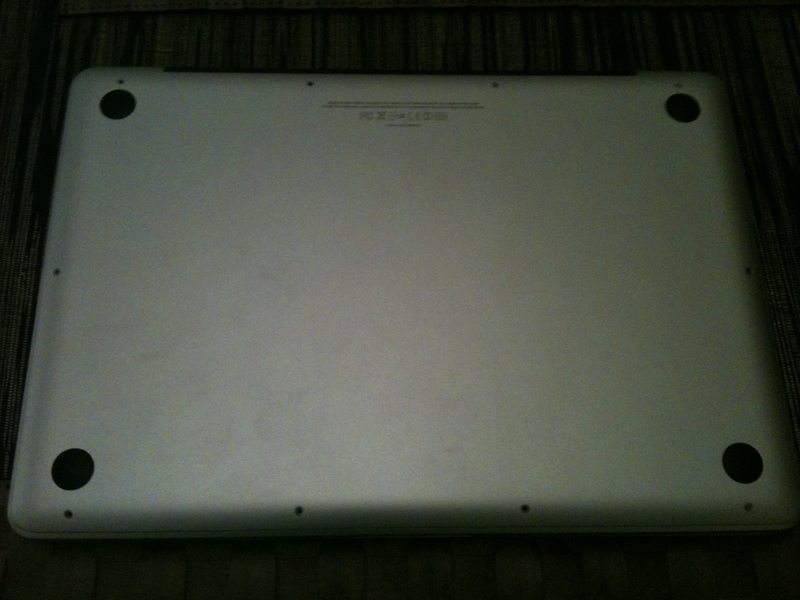 Ipad 2 – Did Steve Listen ? Facetime and front facing camera. Portable VC on a decent screen !. Thanks for that. External display out, for any app. See post one ! With the HDMI output i’m hoping for all apps. 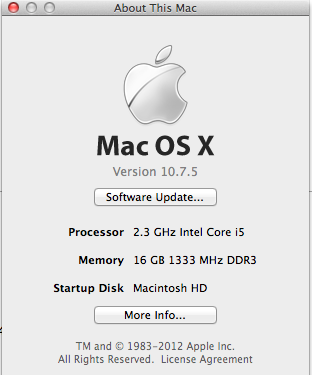 Other key features are the quicker processor (good) and the introduction of Imovies and garageband (woo …..hmmm). Looks like i only missed out on 2 points, not bad at all. Actually it will be one point because i will look to pick one up in New York come end of April, and save a few bob by using dollar pricing. I also had a hands on of a Blackberry Playbook last week, and i love the form factor. I am trying to get one on test for review, but theres not many pre-prduction models around just yet. Just the fact it hangs off a BES means that the unit should be more secure than a ipad. Also i’m looking into some stuff Motorola are doing in the Android space to make it more enterprise secure. Will get back to you once i taken a decent look. Ok, so i have an Itouch that my lovely wife bought me for xmas, but a little bit of me wanted an Ipad. I have now been using one for about a week, and i’m honestly glad i don’t have one. Less weight (far too heavy to hold for a significant amount of time) + some nicely placed ridges / finger pads, on the back for extra comfort when holding as a book, etc. USB, sdcard, anything slot. 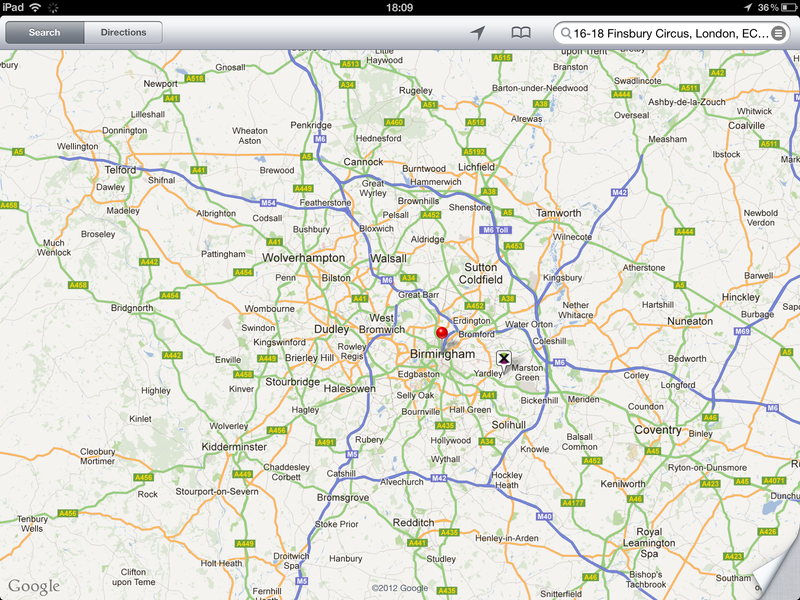 I know its a long shot but it is handy ! External display out, for any app. See post one ! Ideally, i would like MS office as well, but now i’m pushing the boat out. And cheaper. Either compete with netbooks or don’t. Currently i can buy 2+ netbooks per pad, and currently they are more useful. And while we are at it, can we have 3g onto the touch as well. I don’t need the phone, but always on internet would be useful.